Despite their relatively low weight, our raid tents are still suitable for 4-season use and will handle any wind and rain (and actually, we don’t see the point of making any tent that’s not capable of keeping the elements out). Because these tents have a large amount of mesh on the inner tent, you may find you need to use a warmer sleeping bag when winter camping. 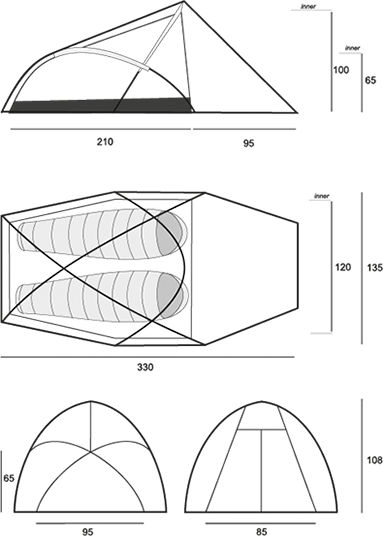 Both the t10 (a one-person tunnel) and g15 (a compact 2-person semi-geodesic) are pitched inner-first. When trying to make our tents as light as possible, this system allows for a lighter construction and, equally important, is a superior design for withstanding storm conditions. The raid flysheet is made from high-tenacity 20-denier nylon, which has comparable tear resistance to our 30 and 40 denier fabrics, but ultimately will not last as long in prolonged exposure to UV. Like all Lightwave tent flysheets it is silicone-coated on both sides (for water-resistance). Silicone coatings maintain the inherent strength of the fabric, whereas the conventional polyurethane (PU) coatings typically used on most tents reduce the tear strength by up to 70%. 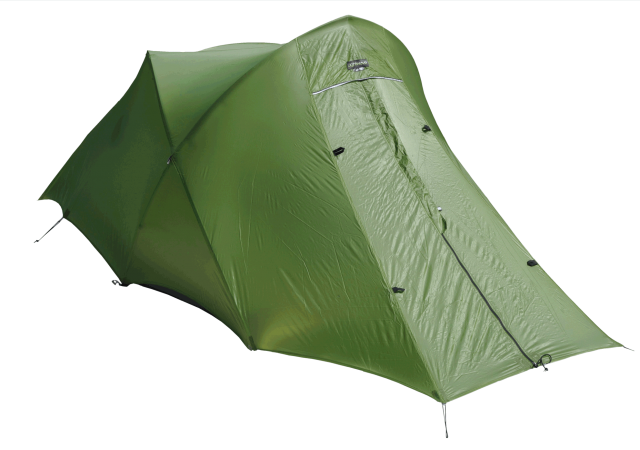 The raid groundsheet is made from a lightweight 50-denier taffeta (plain weave) nylon. The 50-denier fabric is a reasonable balance between the need to save weight and provide adequate protection from abrasion and moisture. 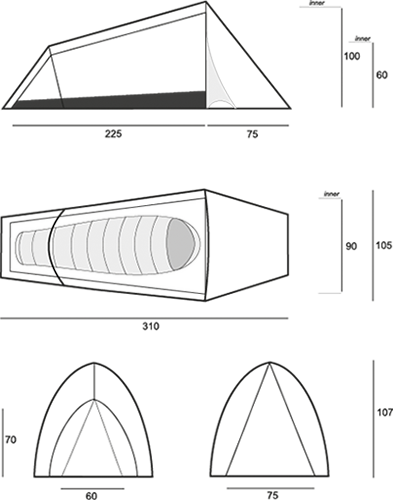 With most of our tents, we don’t generally advocate the use of a footprint, but on the raid tents, we recommend this where it is appropriate to do so – in other words, when you know ground conditions are going to be harsh, or weight being carried (a footprint is an additional 200 g) is not quite so critical. Pegs are very important – without them, no tent could withstand anything more than the slightest breeze. Raid tents use our Lightning peg – similar in weight to most standard pegs, but substantially stronger and capable of living with some serious abuse. Costing four times as much as normal wire pegs, these are seldom seen on all but the most highly specified and expensive tents. Supplementing these for non-critical peg-points are our Flash pegs (which are literally “half a Lightning peg”). Raid guylines are made of standard 2.0 mm nylon. They work, and with our Linelok adjusters they work and adjust very well. Both the raid models are pitched inner-first. Lightwave is an ardent supporter of this pitching method for the following reasons: 1. It gives greater structural integrity. Because the poles run through sleeves on the inner canopy, they directly tension and support the walls and built-in groundsheet of the inner tent and give it taut and stable three-dimensional shape. 2. It allows the flysheet to be tensioned better and more easily. Without external pole sleeves, inner-pitch tents have a more streamlined, “slippery” profile and thus a greater ability to withstand high winds. 3. 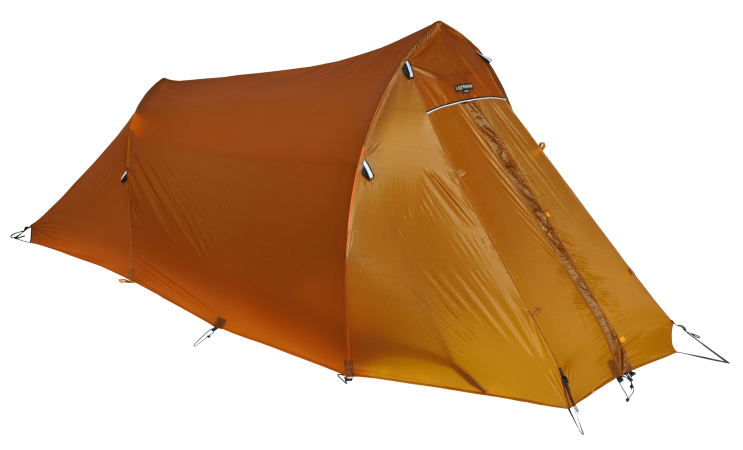 It makes for a lighter tent and a simpler construction, since it does not require the connecting mechanisms needed to secure the inner tent to the flysheet.